Technology rules the world. There’s no point denying that. Everywhere you look, you’d see various tech gadgets and knick knacks dominating our life. As important as technology is, another equally important piece of commodity is data. Data pertains to all sorts of information that has been input on a computer system or even on the web. Hackers would resort to all tricks of their trade to steal valuable personal data for their personal gain. If you suddenly find yourself unable to access important personal data because it was accidentally deleted, your file or system was corrupted, or the computer or laptop is now beyond repair, do you know what to do to salvage your data or do you just think of it as one of those things you have to deal with in life. Whether you are using a hard disk, SSD or flash drives, there is still a chance to save your data if you know what to do (or perhaps what not to do). Hard drive failure is an inevitable fact of life — whether its your own fault or just an unfortunate byproduct of age. There will also come a time in your life when you’re going to want to recover a thing or two from said dead drive. Your computer’s hard drive stores everything from your precious baby photos and financial data to your coveted illegal music catalog and work documents, among other things. To put it simply, your hard drive is essentially your life housed in a little mechanical box that functions as a data vault, one that can leave you utterly broken when it decides enough is enough. Although discouraging, hard drive failure doesn’t necessarily mean all is lost (though it can), it is possible to salvage and recover information and data contents from that expensive paperweight of yours. It just takes a bit of effort and a hell of a lot of luck. Be rational and level-headed when faced with data loss issues. Sometimes you do more harm in your attempt to salvage the situation in a panic than taking a little time first to assess the situation. You may inadvertently lose the chance to retrieve your data by acting so callously. Most computers/laptops these days use hard drives for data storage. When that hard drive fails and your data ends up corrupted, you need not panic right away but still, maintain a presence of mind to prevent permanent data loss. While the Internet may offer you lots of tips about the matter, you should not always act on it especially if you don’t have previous know-how about computers and these technologies or risk inflicting more damage than what was previously. 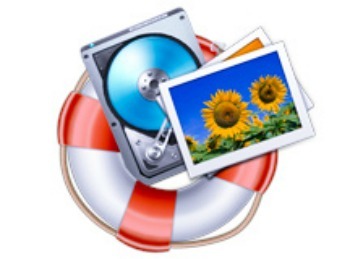 You’ll get more ideas about data recovery through this link: https://www.harddrivefailurerecovery.net/hard-drive-data-recovery-for-mac-laptops-and-pc-drives/. Your data is precious and some can’t be replicated anymore, so it just makes perfect sense that you want it back at all cost. 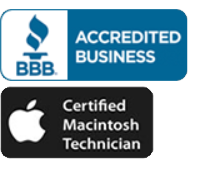 But if possible, try addressing the issue of https://www.harddrivefailurerecovery.net/hard-drive-failure-solutions/, so you save yourself from the woes and stress brought by the consequential data recovery after.